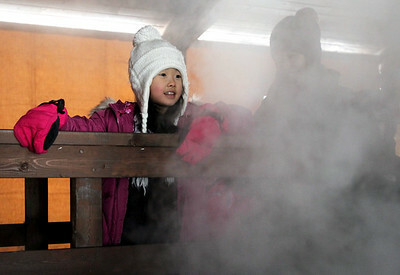 Monica Maschak - mmaschak@shawmedia.com Mei Yano, 7, looks at the steam from the evaporator where sap was being turned into maple syrup at the Festival of the Sugar Maples at Coral Woods Conservation Area on Saturday, March 2, 2013. Anyone could take a tour and learn how maple syrup was discovered, how maple trees produce sap and how sap is collected from trees. 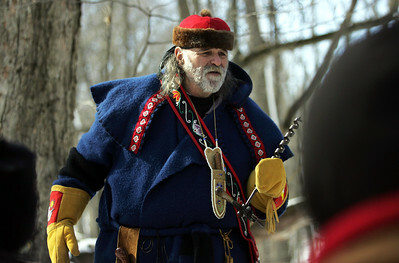 Monica Maschak - mmaschak@shawmedia.com MCCD Volunteer Jerry Martin tells a Native American tale of how maple syrup was discovered at the Festival of the Sugar Maples at Coral Woods Conservation Area on Saturday, March 2, 2013. 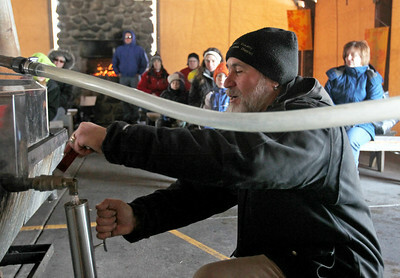 Monica Maschak - mmaschak@shawmedia.com Volunteer Andy Talley shows a group how to test the maple syrup to see if it's done in the evaporator room at the end of the Festival of the Sugar Maples at Coral Woods Conservation Area. Antendees learned how maple syrup was discovered, how maple trees produce sap and how sap is collected from trees. 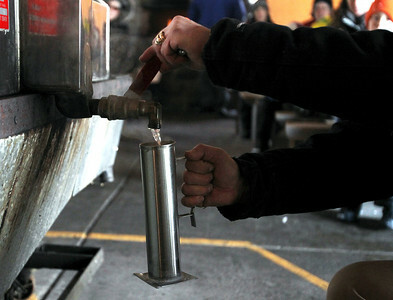 Monica Maschak - mmaschak@shawmedia.com Volunteer Andy Talley pours syrup out of the evaporator to show a group how to test to see if the sap has reached the final product at the end of the Festival of the Sugar Maples tour at Coral Woods Conservation Area. Antendees learned how maple syrup was discovered, how maple trees produce sap and how sap is collected from trees. 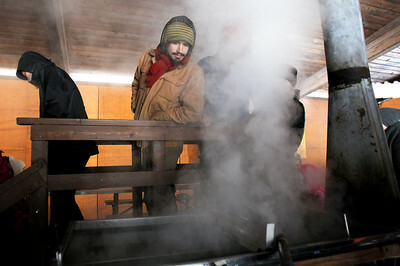 Monica Maschak - mmaschak@shawmedia.com Aaron Findley, 22, peaks into the evaporator where sap is turned into syrup during the Festival of the Sugar Maples at Coral Woods Conservation Area. Monica Maschak - mmaschak@shawmedia.com Steven Ruhnke, 9, learns how to drill into a tree to tap it for sap with the help of volunteer Alan Myers at the Festival of the Sugar Maples at Coral Woods Conservation Area. Antendees learned how maple syrup was discovered, how maple trees produce sap and how sap is collected from trees. 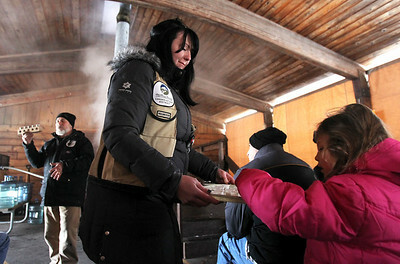 Monica Maschak - mmaschak@shawmedia.com At the end of the Festival of the Sugar Maples tour at Coral Woods Conservation Area, volunteer Ashley Cokley hands out samples of pure maple syrup for attendees to try. Monica Maschak - mmaschak@shawmedia.com Elijah Neumeyer, 7, learns how to drill into a tree to tap for sap during the Festival of the Sugar Maples at Coral Woods Conservation Area on Saturday, March 2, 2013. Monica Maschak - mmaschak@shawmedia.com Volunteer Andy Talley speaks to attendees in the final stop of the Festival of the Sugar Maples about the last process of turning sap into syrup at Coral Woods Conservation Area on Saturday, March 2, 2013. 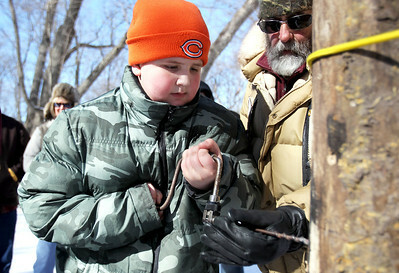 Steven Ruhnke, 9, learns how to drill into a tree to tap it for sap with the help of volunteer Alan Myers at the Festival of the Sugar Maples at Coral Woods Conservation Area. 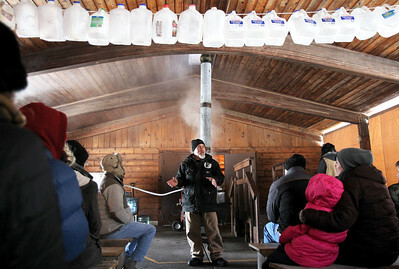 Antendees learned how maple syrup was discovered, how maple trees produce sap and how sap is collected from trees.